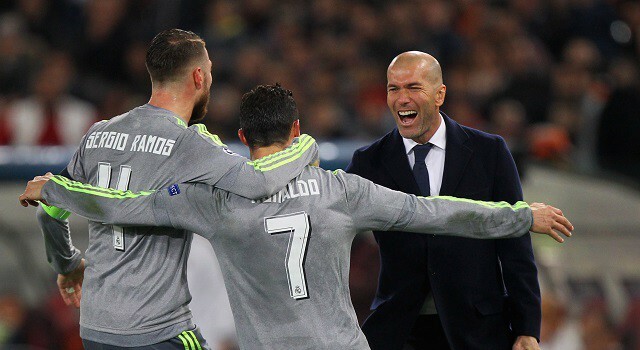 Real Madrid put one foot in the quarter-finals of the Champions League after beating Roma 0-2 thanks to goals from Cristiano Ronaldo and Jese Rodriguez. 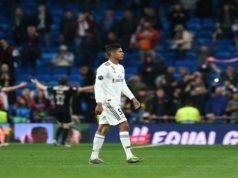 The Italians fought hard, but a brilliant goal from the Portuguese calmed Real nerved and helped Zinedine Zidane earn a victory in his Champions League debut. The hosts threatened Los Blancos from the start, as Mohamed Salah’s quickness made Marcelo and Sergio Ramos give their best. Real defenders were very concentrated and managed to stop the Egyptian, but still Roma had the first chance of the game. The Italians came close to making it 1-0 as Perotti poked a low pass into El Shaarawy, who attempted to beat Keylor Navas from close range, but his effort was always too high. Isco and Marcelo were Los Merengues’ best players in the first half, constantly threatening Roma through the left wing. 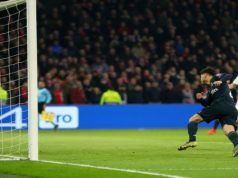 The Brazilian could have opened the score as he sent a spectacular volley from just inside the box, but his effort dropped wide of the post. Los Blancos gained control of possession in the second half, but Roma came close to scoring in a counter-attack. El Shaaraway broke through on the Real Madrid goal, but Navas raced off his line to make the challenge. In the following play, the visitors took the lead as Ronaldo collected a pass from Marcelo, cut inside his full-back and angled a superb shot into the top corner. The Italians had a couple of chances to level, but both Vainqueur and Dzeko missed their efforts. Right before the end, Jese drove into the Roma box and fired a low effort into the bottom corner, securing Los Blancos victory.